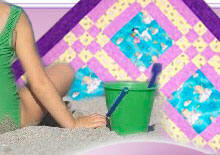 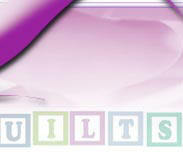 For our baby quilts, we usually use a high-loft polyester batting, so that our quilts are soft, puffy and comfortable. 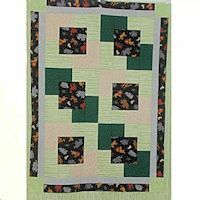 Because it is difficult to make quilting stitches through thick layers, the method that works best for holding these quilts together is "tying." 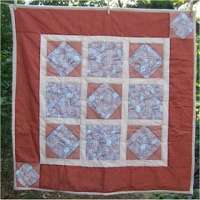 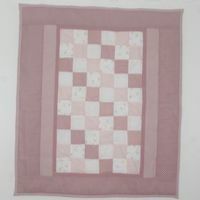 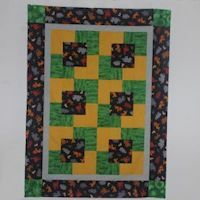 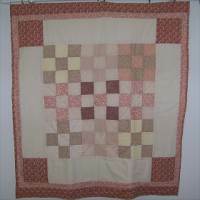 Using 6-strand embroidery floss, or pearl cotton thread, in a coordinating color, we make a series of hand-sewn stitches and hand-tied knots at regular intervals over the quilt, or knots tied according to the geometric shapes of the patchwork pieces. 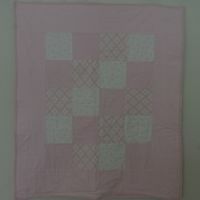 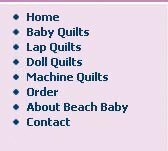 Unless otherwise indicated, all of our baby quilts are tied and have the thick batting.